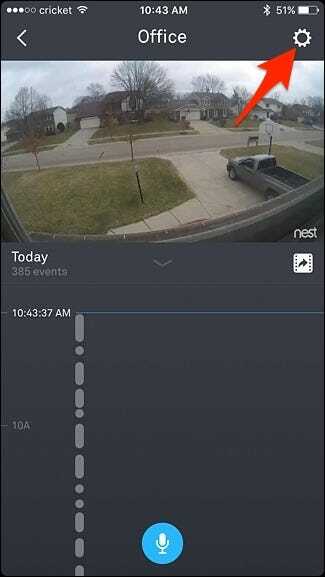 If you have Nest Aware set up on your Nest Cam, it can record video around the clock. 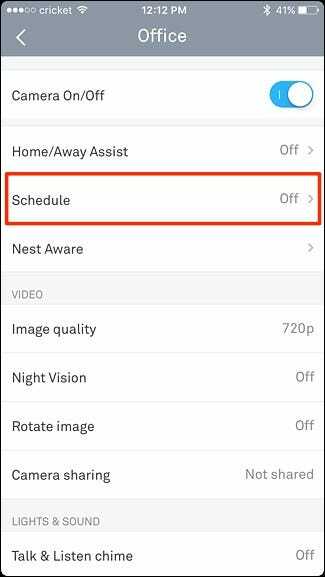 However, this can quickly use up your bandwidth and data, so if you don’t need it recording at all hours, here’s how to automatically turn the Nest Cam on and off based on your location (using Home/Away Assist) or on a strict schedule. 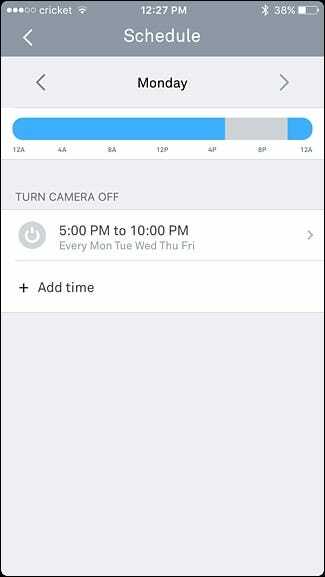 If you simply want your Nest Cam to turn on and off at certain times throughout the day, you can set up a schedule for this within the Nest app. 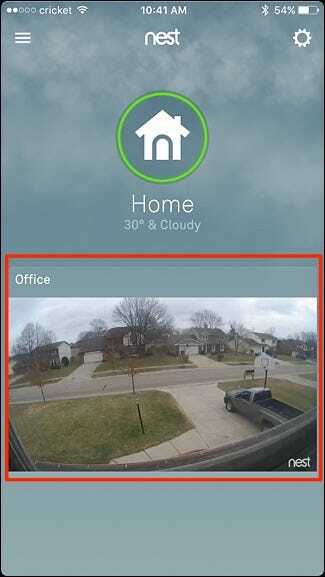 To begin, open up the app and tap on your Nest Cam’s live view. 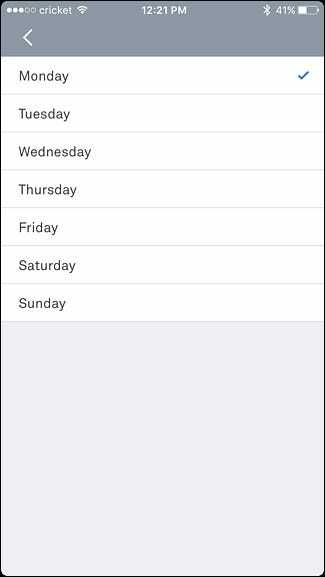 Tap on the toggle switch to the right to enable scheduling. A list of the days will appear below that with blue bars next to each day. Start by tapping on “Mon” to set up Monday scheduling. 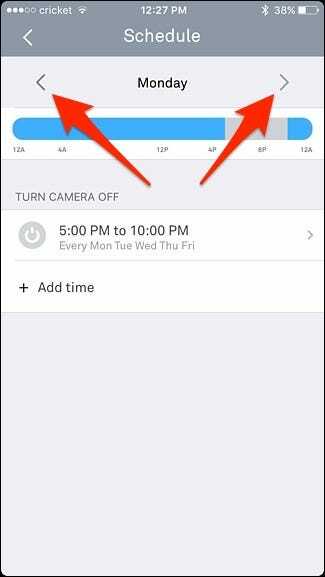 Select a time that you want your Nest Cam to turn off, and then do the same for turning your Nest Cam back on. 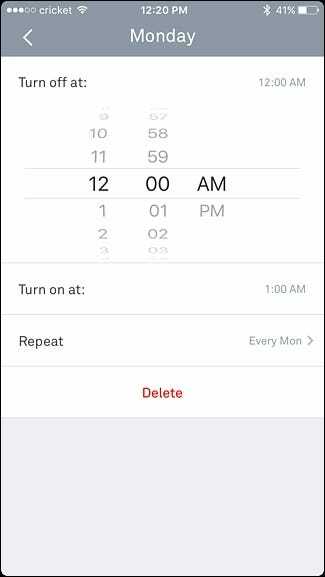 After that, you can tap on “Repeat” and select the days that you want this schedule to be applied to. Hit the back arrow button in the top-left corner when you’re done. If everything looks good, hit the back arrow again. Your schedule will be applied and you’ll see a gray area along the timeline when your Nest Cam will be turned off. 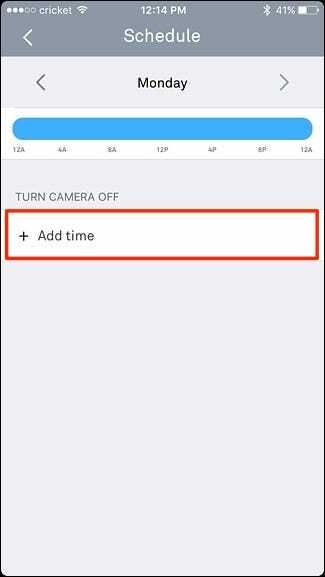 If you want to add another time window during the day that you want your Nest Cam turned off, you can tap on “Add Time” again and repeat the steps above. 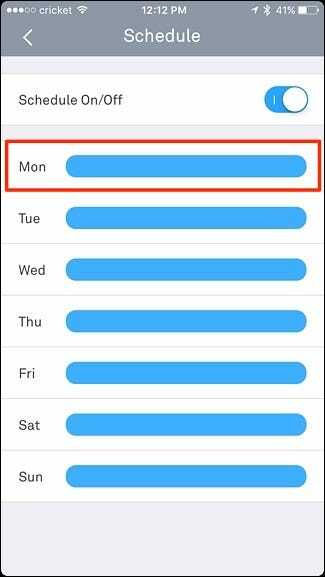 If you want to create a separate schedule for a different day, you can tap on either arrows to the left or right to go to the previous or next day, respectively. 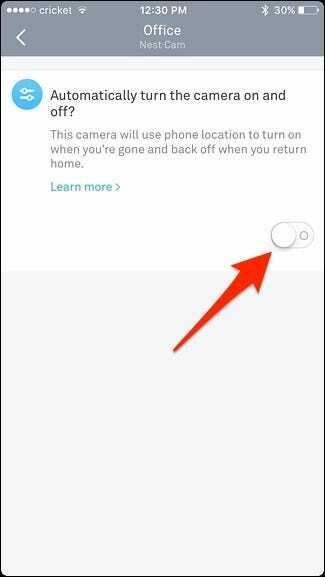 Home/Away Assist is Nest’s own geofencing feature that uses your phone’s GPS to determine whether you’re home or not. 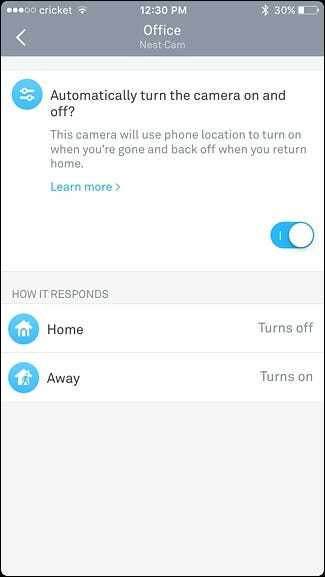 You can have your Nest Cam automatically turn on and off based on your location, so that if you’re home, your Nest Cam will turn off. Then, once you leave for work, it will turn on and begin recording again. To set this up, tap on “Home/Away Assist” in your Nest Cam’s settings menu. Tap on the toggle switch to turn the feature on. That’s all you have to do! You’ll notice another section will pop up, which is only there to tell what will happen to the Nest Cam when you’re home or away. 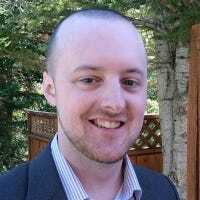 However, if you have other Nest products, like a Nest Thermostat, you can use its motion sensor instead of (or in addition to) your phone’s GPS to determine if your home or away. 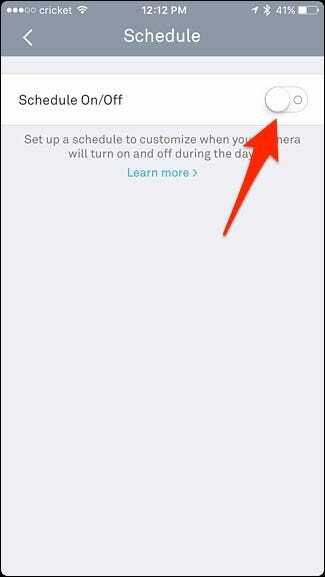 To do this, click on settings gear icon on the main screen of the Nest app.